I received the new Flawless Fusion Ultra Longwear Concealer in 1N and the Translucent Loose Setting Powder. I was actually pretty surprised that I received a full sized concealer for me to try and as a bonus, I also received their popular translucent powder. It claims that it has “coverage that won’t crease. Weightless feel with blurring effect. 12 hours of high performance wear.” I tried it under my eyes as well as on some freckles that I have. I think it has a more sheer to medium coverage that’s very buildable. It didn’t seem to crease under my eyes but it did look kind of dry after a while. Overall, I think the coverage is only ok but it really didn’t crease as it claimed and it did last me a good 8-10 hours of my day. I have really dry skin and most concealers tend to look very dry especially under my eyes. If you have normal or oily skin, I feel like the concealer would work better for you. 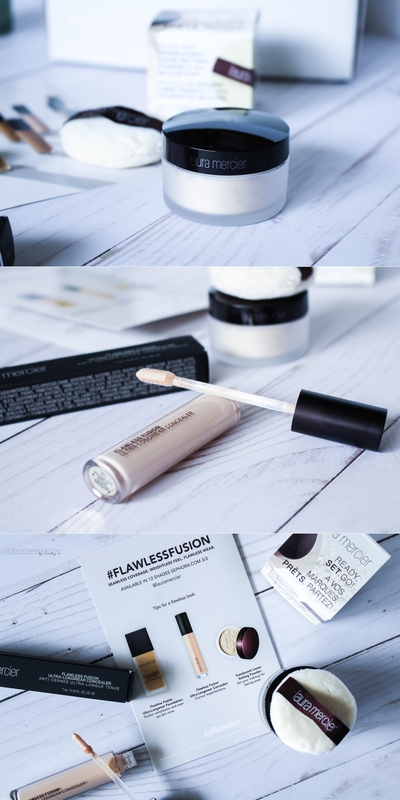 The pamphlet does suggest using the Flawless Fusion Ultra Longwear Foundation first, then the concealer, and then set it with the powder. I didn’t follow these steps exactly since I didn’t own the foundation and I don’t like setting my under-eye with powder (again because of my dry skin). But I do think if I had more normal skin, the concealer might have worked better with the powder combo. If you are interested in purchasing this, it is available at Sephora. 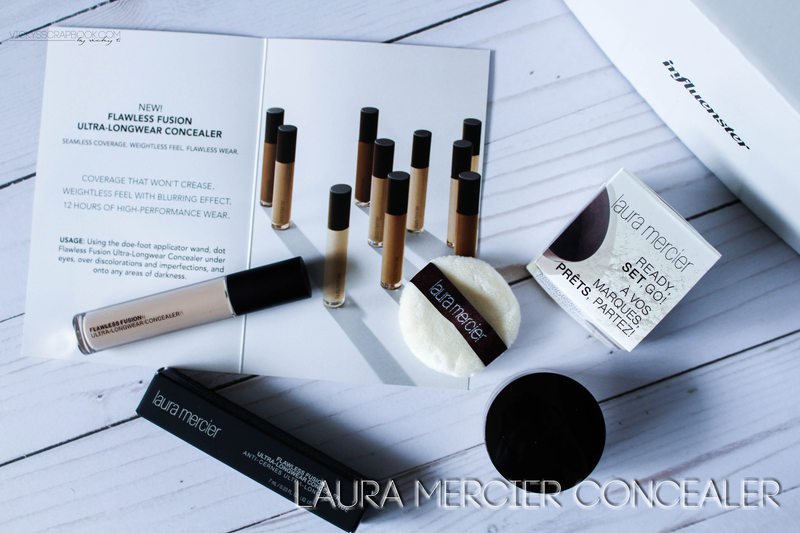 Have you tried the Laura Mercier concealer or powder yet? What do you think of them? Ohhh a new concealer! I really want to try this too! 🙂 Maybe it’ll be good for the summer!